The Denver Nuggets have beaten the reigning NBA champions and the reigning Eastern Conference champions - albeit a Cleveland team that's a shell of itself - in their best start in decades. Now another test - facing one of the heavy favorites to reach the NBA Finals in June. 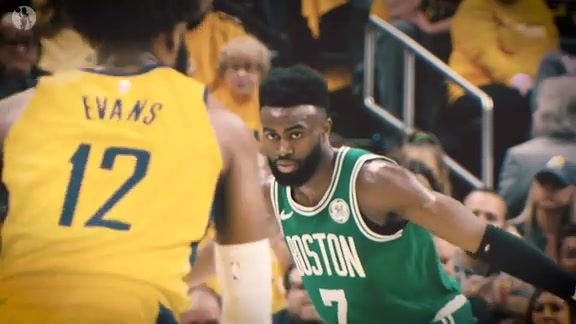 The Boston Celtics are in town to play the Nuggets on Monday night, fresh off a disappointing loss at Indiana on Saturday night, and they're a little sore about it. Boston held a late lead but a missed layup by Kyrie Irving opened the door for the Pacers, and Victor Oladipo won it with a 3-pointer. "I smoked the layup," Irving told reporters after the game. "That's what it comes down to." Boston will need to forget that disappointment quickly. The Nuggets (8-1) are off to their best start since 1976-77, their first season in the NBA, and they've won four straight. They're fresh off an impressive win over division rival Utah on Saturday night when they overwhelmed the Jazz with a 35-15 fourth quarter. It's not surprising Denver was able to rally to beat Utah, but it was how it happened that raised eyebrows. The Nuggets' reserves sparked the comeback, and their defense, suddenly formidable, held the Jazz to four made field goals in the final 12 minutes. Denver has struggled to hit 3-pointers this season but the defense, allowing just 101.9 points a game, has been a big boost. It will be tested to continue that effort against a talented Celtics team. "We're 8-1 and we have one of the best defenses in the NBA so why not?" coach Michael Malone said after the 103-88 win on Saturday. "That's our challenge. Let's not get soft with success." Boston (6-3) came within a game of reaching the NBA Finals last spring, and that was without Irving and Gordon Hayward. Both players are healthy and are part of a deep roster that can come at you in waves. 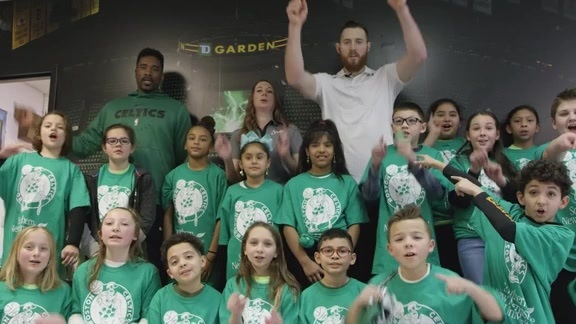 Hayward, who suffered a gruesome leg injury in the first five minutes of last season, is still getting a feel for his teammates but is averaging 11.3 points and 5.1 rebounds per game. Irving sat out the 2018 playoffs after having knee surgery but looks strong at the start of the season. Boston will need both to play well against Denver. The Nuggets have one of the best young centers in the NBA in Nikola Jokic, who can impact the game without scoring. He has averaged 5.5 points in the last two games and Denver has won both by double digits. Jokic scored seven points Saturday but had a season-high 16 assists to go with 10 rebounds. "I don't think I've played with a guy who had 16 assists before," his backup, Mason Plumlee, said after Saturday's game. Denver's 3-point defense was last in the league in 2017-18 but has improved dramatically in that area in the first nine games of this season. Boston takes 37.3 shots from 3-point range, third in the NBA, and has launched a total of 101 in it last two games. If the Celtics are hitting from behind the arc it could result in Denver's first home loss of the season. But the Nuggets are confident in their defense. "I don't care if the league is 3-point shooting," Malone said Saturday. "When you defend, when you take care of it and you rebound you're going to give yourself a chance every night."